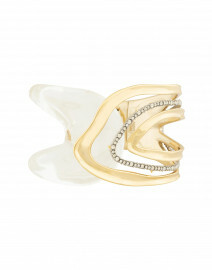 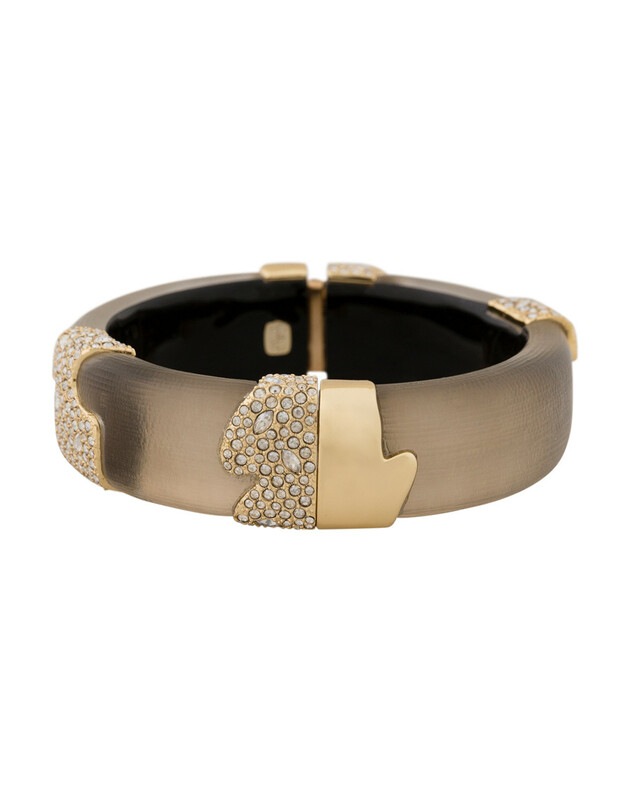 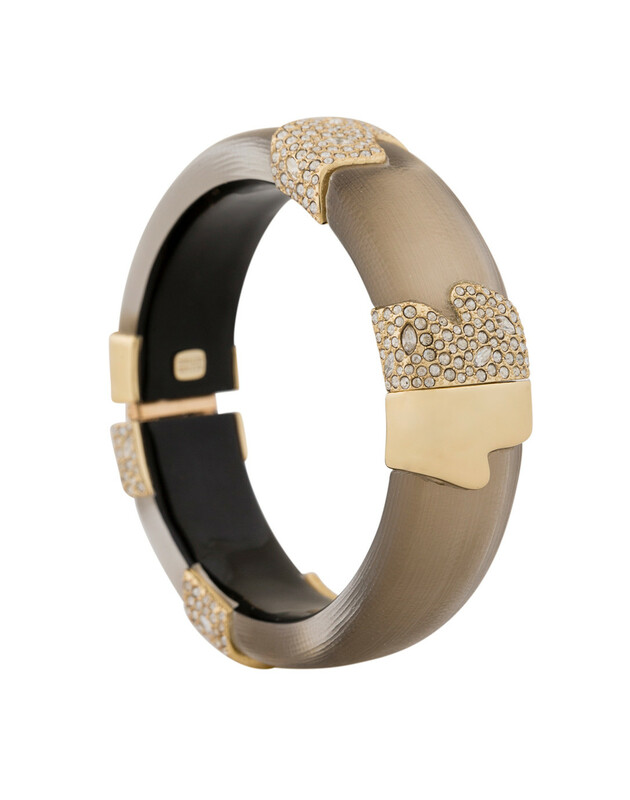 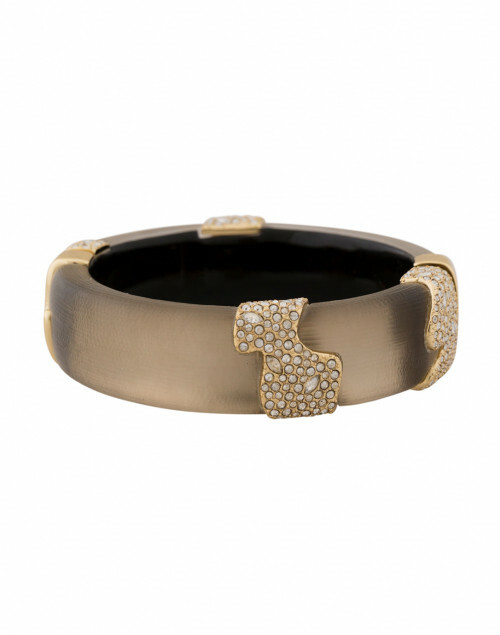 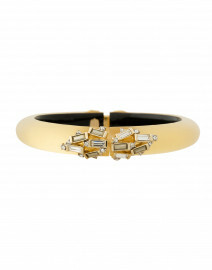 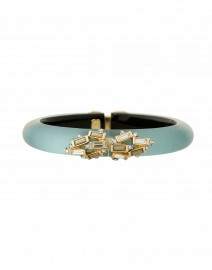 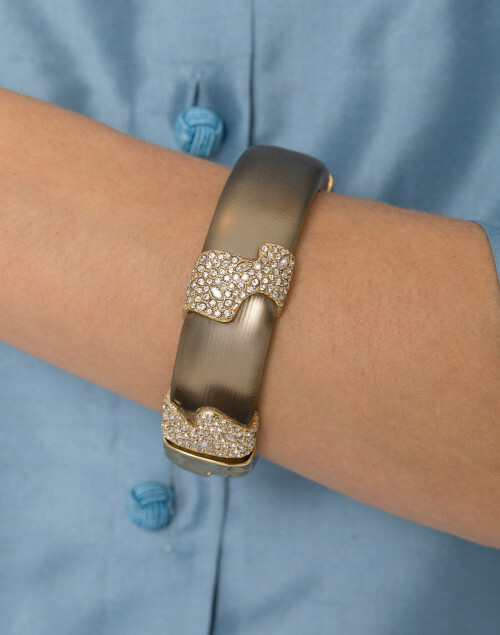 Alexis Bittar's crystal encrusted hinge bracelet is a perfect style to stack in this season's rich Lucite hue. 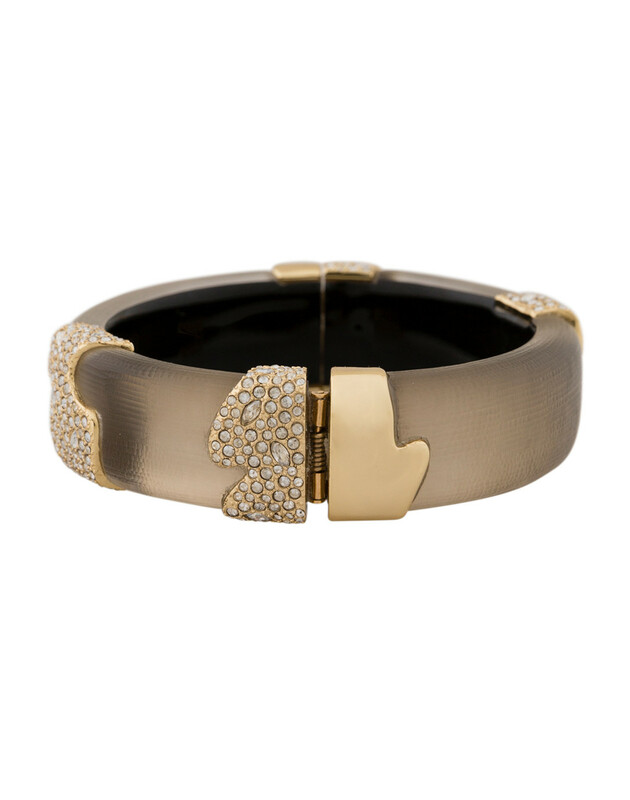 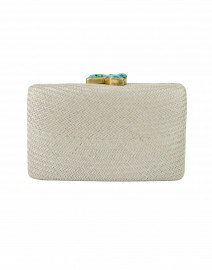 It features swarm grey handcrafted Lucite that's asymmetrically segmented with gold-tone, crystal encrusted blocks. 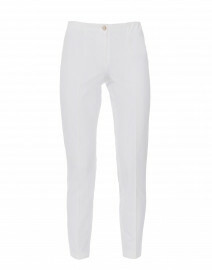 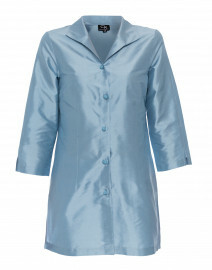 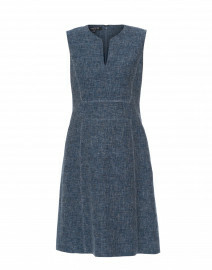 Style it with a silk jacket and white trousers for a polished feminine ensemble.